I don't think it's possible to change the visual size of the time slots. 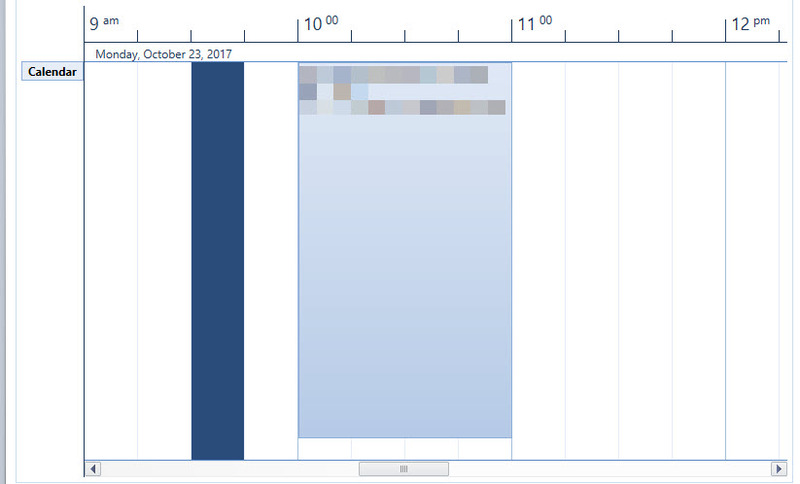 You could only set time slots interval by setting "TimeslotInterval" property of the "XamScheduleView" to show more time intervals in the view. But the number of the time slots visible will be the same. You could play with "CalendarDisplayMode" property of the "XamScheduleView". I believe "Mixed" is what you need. In addition I could suggest installing our WPF Samples Browser which has more that 40 samples demonstrating "XamSchedule" capabilities. 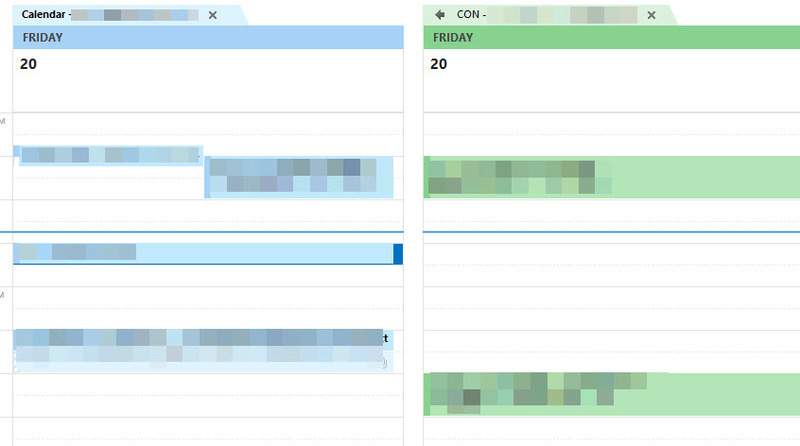 There are several samples showing different customization options for the schedule view. WPF Samples Browser could be installed by the same installer you have used to install our controls. Actually you could restyle the whole schedule view time slot area in order to make the time slots narrower, change the font size, etc. You need to create a new custom style based on our style for ScheduleViewTimeslotHeader and modify the horizontal padding, change the font size, etc. If you want to customize the header even more, you could take our template, copy it into your project and modify it as you wish. Please note that if you are using a specific theme you should take the style template from the appropriate xaml file. As to combining some calendars, if the CalendarDisplayMode doesn't suit you, you could use the XamScheduleDataManager’s CalendarGroups or the CalendarGroupsOverride of the XamScheduleView control and define the groupings how you want. For more information take a look at our WPF Samples Browser.